The 4 sided Picatinny / 1913 forend changed the AR forever – after the flat-top upper and proliferation of optics, it was probably the most significant step in the AR15’s evolution. With it came the ability to customize to a shooter’s taste, and within short order to free-float the barrel for enhanced accuracy. Generally speaking those “quad rails” were bulky, heavy, pointy, and expensive. As the minimization of technology like lights and lasers marched forward, and more ergonomic foregrips were developed, the 4 full sides of 1913 rail became superfluous. The answer came in dozens of varieties, typically personified by tubes with proprietary interfaces allowing the user to mount sections of rails, or in limited cases, the ability to directly attach their accessories. The downside was the proprietary nature, if a company didn’t move forward with the mount you wanted or needed, you were stuck. Eric Kincel (now with Bravo Company) had a solution to this problem with Keymod, an open source mounting system with many advantages and a few downsides – the industry was quick to jump on board, except for one major player, Magpul Industries. Magpul had their own reasons that Keymod wasn’t the answer for them, and developed MLok for their needs, which in turn the industry was also very quick to adopt. Of course this led to arguments over which was better, which was this, which was that – but to me, that was never the issue, the issue was that BCM and Magpul make some of the most forward thinking products in the industry, and neither was swaying from their invested attachment method. I like both methods of attachment just fine, there are pros and cons to each – and I like competing standard grips / light mounts for instance. I’m also somewhat minimalist in nature, and just really don’t need slots and mounting points everywhere on a 13″ long forend. There had to be another answer. I started looking at this problem and potential solutions for an entirely different purpose – designing an interchangeable “panel” that could house either system – both being based on the general dimensions and spacing of Picatinny / 1913, you wind up with all three mounting systems having a very similar footprint. Realizing that, I decided just as an experiment to model them into an AR15 forend encompassing the features I really like in a modular fashion. I approached Sven @ Manticore Arms with my idea for the panels themselves for feedback and possible help with production. Along with that I sent him the 3D files for the rail, just to show the possibilities of the panels. He was hooked, and while that isn’t the rail you know now as the Transformer Rail, it’s most certainly the grand-daddy of what exists. We were able to work together and include feedback from others over a very short period of time to refine a fantastic forend to launch the Transformer Panel System with (read more about the Transformer Rail). 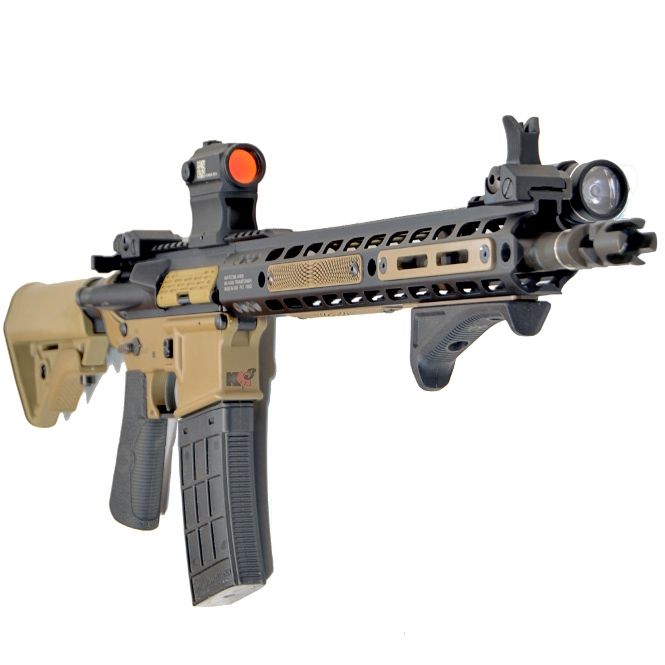 The future can’t be future proof – but one solid prediction is that any small arms attachment system is likely to retain some core dimensions that started with 1913 rail and continue to MLok – as long as they do, the Transformer Panel system will be able to adapt.